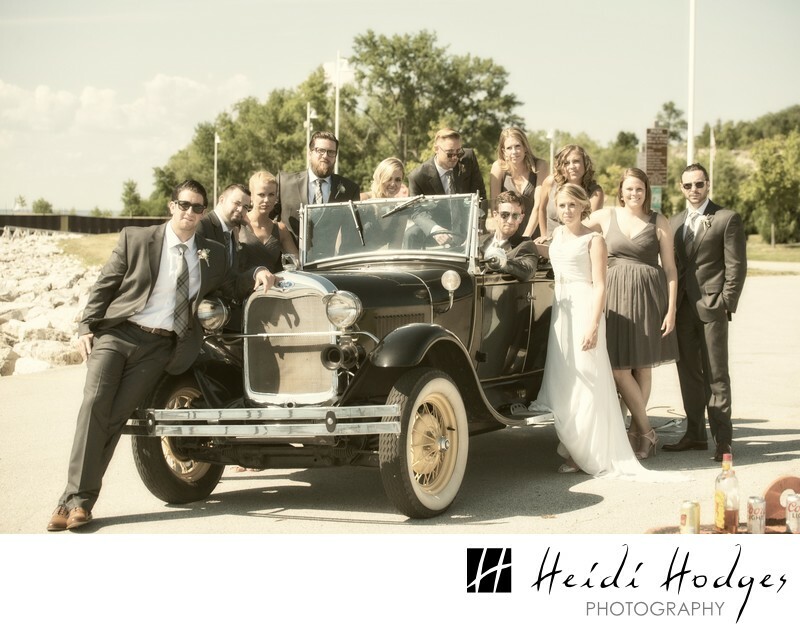 With an antique car, the bridal party was able to cruise around in style after the ceremony. Location: Pinney Park, Sturgeon Bay, Door County, Wisconsin. 1/400; f/4.5; ISO 100; 70.0 mm.